Plowman Craven is one of the largest measurement survey companies in the UK with a solid reputation within both the public and private sectors. Our innovation and dynamic approach sets us aside from our competitors and our commitment to deliver a flawless service is achieved by investing and empowering our employees to push boundaries and reach new heights. We specialize in measuring data services to business of varying sizes and regardless of the size of project or the challenge it presents, our clients can trust us to provide a service that will go beyond their expectations! The Junior Utilities Surveyor role requires someone educated to GCSE/A Level standard as we intend to provide full training with the possibility of a Level 5 (degree level) apprentice course in Geospatial Mapping at a local university (details to be concluded). Innovation, Creative, Passionate, Bold, Ambitious, Relentless, Trusted and Trailblazes. To assist in the data collection and data processing elements of all projects in the Utility teams’ portfolio and to meet the required Company standards including health and safety. Manhole lifting and assisting with the observation of measurements. Total station and GPS/GNSS observations. Locating utilities via electromagnetic locator and ground penetrating radar. Post processing of data and AutoCAD. To pro-actively take responsibility to learn survey theory and practice, new techniques and about new instruments/technologies, in order to embark on a career as a professional surveyor. To rotate around the different business areas and gain varied experience and learn about specific ways of working. To undertake all other reasonable tasks as requested. Experience working specifically as a 'Utilities Surveyor' is essential. A related educational background or work experience would be advantageous but not compulsory. Applicants must demonstrate a true passion to build a career in surveying. Junior surveyors will be required to work some unsociable hours including weekends and night shifts. You will be expected to work in many different environments including but not limited to the rail environment and sewers. Excellent interpersonal skills, team working, a proactive attitude and willingness to learn are essential to this role. Plowman Craven is a great place to work, where we always attract, develop and retain high calibre individuals. 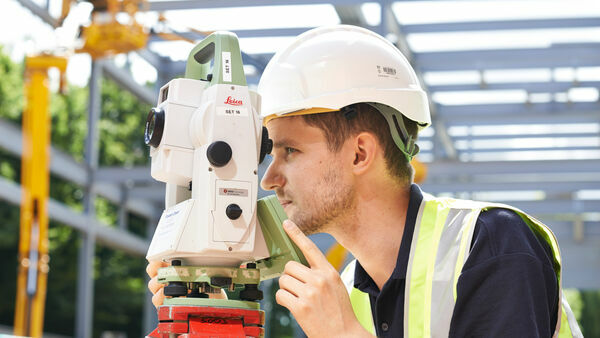 From competitive salaries to pensions and career development, let us show you some of the benefits in working for one of the premier surveying companies in the UK.